Billy’s Quilt | Keeps Me Out Of Mischief! My poor, neglected child! I’m so busy making things for other people’s children that I completely forget to make him his own quilt! This was a bit of a rush job once the weather started getting colder but it’s certainly made his cot a nice cosy place to be… not that he seems to feel that way judging by the scarcity of the time he actually manages to spend sleeping under it! 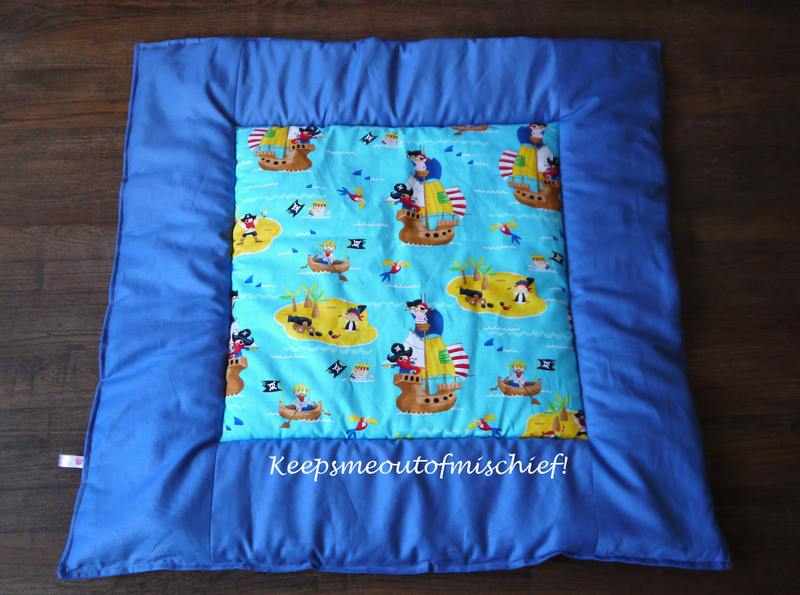 I went for a pirate themed quilt using material from Quiltessential and made the side panels with a single layer of wadding so that they would tuck in more easily and a double layer along the middle length to keep him cosy.